I am a very handsome 14 lb, 14 yr old black and white Shih Tzu boy. I was born April 2, 2005. My brother Romy and I lost our Dad and there was no one in the family who could care for us. It took awhile for me to get over my loss, but I have settled in nicely and know how much I am loved. I get along well with the other pupsters fairly well, but can be a bit alpha. I am not much of a player and just enjoy observing the happenings around me. There are times where I can be a bit nippy, but we are working on that. I do have dry eye and am on eye meds twice a day. It would be nice to have a home where someone is with me 24/7. I prefer no small children. I am neutered, current on vaccinations, tested heart worm negative, on a monthly heartworm prevention and on a natural flea protection. Total vet costs can be seen at Foster Vetting Costs. My adoption fee is $300. We appreciate Vera Rodriguez of California, for lovingly sponsoring BJ. I am a very sweet 12 lb Shih Tzu boy. I am approximately 17 yrs old. I was found as a stray matted to the skin with ear and eye infections. I spent some scary time in this place called a shelter for no one wanted me and along came my rescue angels. I am blind. The retina is detached in my right eye and my left eye is genetically deformed. I am just the sweetest little boy. Hugs and kisses are welcomed and I am in heaven when being held in Mom or Dad's arms. I can be a bit grumpy with the other dogs, but have been told "We don't do that here", and I am beginning to understand that this behavior is not appropriate. I would love a home where Mom and Dad can be with me 24/7. I prefer no small children. We appreciate Jean Iovino of California for lovingly sponsoring Brisco. 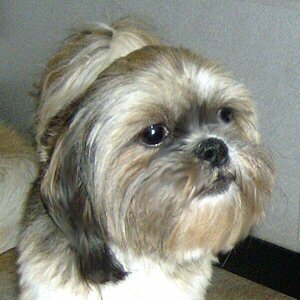 I am a sweet, lovable 15 yr old Shih Tzu boy. I was born January 28, 2004. I had been with my owners since I was 1 year old. Along came Grandchildren and because I nipped at them my owner was going to euthanize me. The owner told PATR that I did not deliberately go after the children, but if cornered by them I reacted by nipping. I am not a mean little boy by any means. I love to be loved and being cuddled is number one on my list. I had never shared my life with another pupster so can be a bit anti social when it comes to the other pupsters. I am working on this for Mom and Dad tell me this is not good behavior. I would love a home where I could be the one and only. I love to go for walks and car rides are great! No children please and a fenced in yard would be wonderful. I am neutered, current on vaccinations, tested heart worm negative, on a monthly heartworm prevention and on a natural flea protection. Total vet costs can be seen at Foster Vetting Costs. My adoption fee is $300. We appreciate Alex Quasnitschka of Connecticut for lovingly sponsoring Caden. I am a handsome 9 yr old, 13 lb red and white Shih Tzu boy. I am a retired breeder. I was born on April 14, 2010. I surely enjoy every minute of the day. I love to romp and play with the other pupsters and follow Mom around begging for attention. I just look up at her, give her my famous Culley grin and she turns to mush. Now, I can be a bit over rambunctious at times, but hey, I am just feeling my oats you know. I do have healed ulcers on both eyes so my sight is a bit impaired. I can't wait to find my very own special home where Mom/Dad can be home with me most of the time. I prefer no small children and a fenced in yard is a must. We appreciate Alex Quasnitschka of Connecticut for lovingly sponsoring Culley. 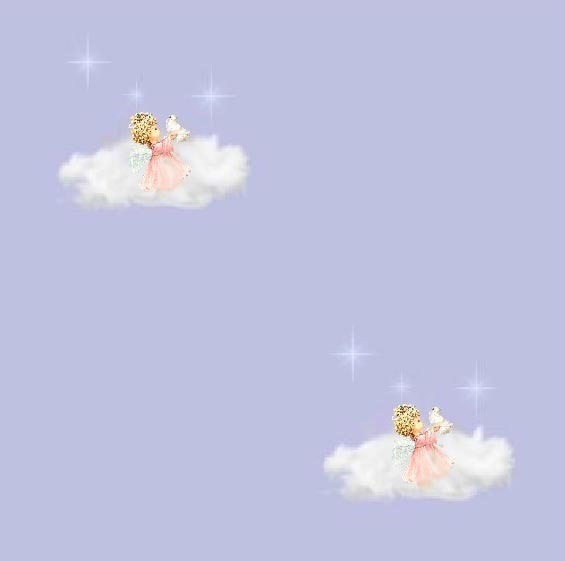 Are you ready to love me forever?? Well keep reading because I might just be the pupster for you! I am a 10 lb, 8 yr old red and white Shih Tzu boy. I have retired from the breeding world. I was born on June 20, 2010. I know my new family will keep me safe and in their lives for the rest of mine! I am a very nervous little boy and it takes me time to get comfortable with strangers. I am looking for a home where my Mom and Dad will have lots of patience for it may take some time for me to realize that all is well in my world. All I have known my whole life is a kennel so all of this freedom is new to me. I would be very contented being the one and only or having a non alpha playmate. I am not going to be a good fit for a family with small children. I will need a fenced in yard to run and play in and am really looking forward to meeting my very own Mom/Dad. I am neutered, current on vaccinations, tested heartworm negative, on a monthly heartworm prevention and on a natural flea protection. Total vet costs can be seen at Foster Vetting Costs. My adoption fee is $300. We appreciate Wendy Elvendahl of Minnesota for lovingly sponsoring Flash. 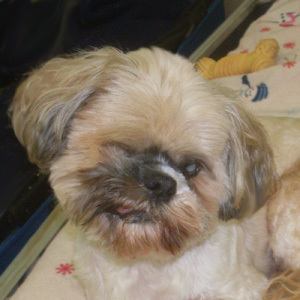 I am an 16 yr old, caramel and white Shih Tzu boy and weigh 14 lbs. I was born on August 10, 2002. I was having potty accidents in my home so my owners sent me to live with the other pupsters here at PATR. I am a sweet, loving little boy and my favorite place is your lap. I love belly rubs and kisses. The pupsters here are great and I have so much fun romping and playing with them. I love all of the toys here and snuggling up in a doggy bed with the other pupsters feels so good. At night I just cuddle up to Mom and Dad in bed and think I am in heaven. I am blind, but get around just fine. I will need a fenced in yard and prefer no small children. I am doing well with my house training, but do wear a belly band at night. I love to go for walks and do well during grooming. We appreciate Roslyn Morrissey of Maryland for lovingly sponsoring Jasper. I am 14 yrs old and weigh 12 lbs. I am a very handsome liver and white Shih Tzu boy. I was born on March 7, 2005. I am a retired breeder and was turned over to PATR because I suddenly lost my sight. I am a sweet, gentle, loving little boy who enjoys being held and cuddled. A visit to the ophthamologist revealed that the retinas in my eyes are detached. This does not slow me down at all. I have become comfortable with my surroundings and get around wonderfully. I snuggle in with the other pupsters, but much prefer snuggling close to Mom and Dad. I enjoy playing with toys and treat time is the best. I will only be placed in a home where Mom/Dad are home 24/7 and there are no children. We appreciate Vera Rodriguez of California, for lovingly sponsoring Joel. I am a handsome blonde & white Shih Tzu boy. I weight 9 lbs and am 16 yrs old. I was picked up as a stray, matted to the skin, urine soaked with dew claws curling through my feet twice. The dew claws were badly infected. I am a loving little boy once I get to know you. I am unsure of myself, but once I know you will be loving and gentle with me I melt into your arms. I am sight impaired and am on daily eye medication. I do well with the other pupsters and enjoy snuggling close to them during naptimes. I am searching for a home where Mom/Dad will be patient and gentle with me and can be home with me 24/7. I will need a fenced in yard, and a quiet home with no children. We appreciate Kentisha Dunn of Mississippi, for lovingly sponsoring Kodie. I am a very sweet, lovable little boy that asks nothing more than a soft lap to lay in, belly rubs and lots of kisses. I do fairly well with all of the other pupsters, but can be a bit alpha at times. I love the soft cushy beds and all of the toys. I enjoy riding in the car and do very well on leash. I would love a home with no small children and a fenced in area where I can romp and play. We appreciate Miranda Sanchez of Michigan for lovingly sponsoring Laddie. I am a very handsome black and white Shih Tzu boy and weigh 13 lbs. I am approximately 15 yrs old. My owner's living conditions changed and she also could not care for me financially. I am such a happy, sweet little boy. I just love to be loved. Pick me up and cuddle me and I am all yours. I spend my days lounging around in all of the soft beds. That is of course when I am not snuggled up in Mom's lap. I get along wonderfully with the other dogs and love to settle in with them for my naptime. I do suffer from dry eye and need drops twice a day. I have also been diagnosed with Cushings Disease and am on appropriate medications. I would love a home where Mom/Dad could be home with me 24/7 and prefer no children. I am house trained, leash trained and handle well during grooming. We appreciate Alex Quasnitschka of Connecticut for lovingly sponsoring Max. I am a very handsome 14 yr old, 12 lb blonde & white Shih Tzu boy. I was born on September 12, 2003. I am a retired breeder. I am a very sweet little boy and just love to be loved. I do well with the other pupsters, but prefer to just observe the activity around me rather than participate. Whew, it just tires me out watching some of these youngsters! I do love the soft beds here and will snuggle in with the other pupsters on occasion. I would do great in a home by myself where I could get all of the attention. I would love a home where Mom and Dad can be with me 24/7. I prefer no small children. We appreciate Alex Quasnitschka of Connecticut for lovingly sponsoring Maxim. We are both very sweet 15 lb, 13 yr old, black and white Shih Tzu Poodle mixes. We were born on February 19, 2005. We appreciate Roslyn Morrissey of Maryland for lovingly sponsoring Obie and Sophie. I am a handsome 10 yr old, 12 lb, silver Shih Tzu boy. I was born on December 6, 2008. 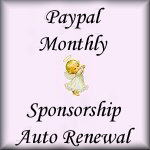 We appreciate Vera Rodriguez of California, for lovingly sponsoring Rambler. 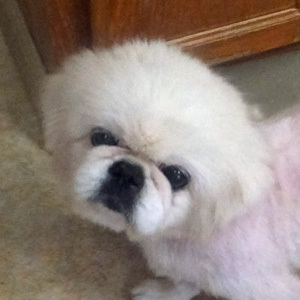 I am an adorable 14 yr old, 10 lb fawn Pekingese boy. I was born on February 20, 2005. I have retired from the breeding world. My owner was down sizing to reduce number of dogs in her family. I love everyone I meet and am quite the character. I enjoy all of the other pupsters here and it is fun snuggling with them. I am crazy about belly rubs so watch where you are walking for I just lay down quickly wherever you are at and patiently way for my belly to be thoroughly rubbed. I sure love the soft beds and yummy treats! My favorite thing is being held and cuddled. I am hearing impaired and have arthritis in my back legs so am on medications. I can't wait to meet my Forever Mom/Dad and hope that they can be home with me most of the time. A fenced in yard is a must and no children please. We appreciate Melanie and Keith Kreider of Pennsylvania for lovingly sponsoring Smokey. I am a 14 lb, white Pekingese boy. I am 13 yrs old. I was found as a stray in Indiana. PATR received a call and here I am! Mom says I am the most handsome Pekey boy she has ever seen. I was so matted the people in Indiana had to strip my coat right down to the skin except for my fluffy head. I am hoping my coat will grow out. I am an absolute love bug. Scratch my ears and I fall in love. I do well with all of the other pupsters and love snuggling with them. I also can be very verbal when I want something…like attention or food. I do have dry eye and am sight impaired. I need eye drops twice a day. I will need a fenced in yard and no children please.